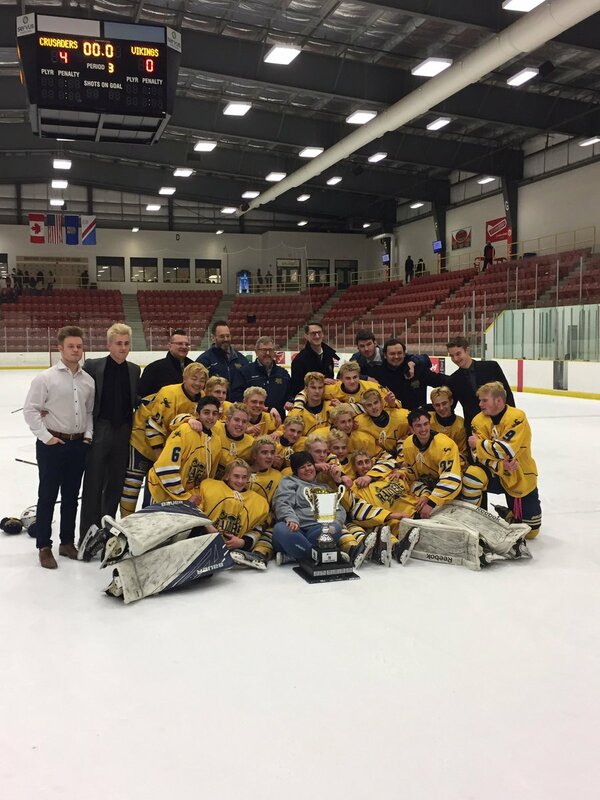 The St. Albert Source for Sports Crusaders are the 2019 Northern Alberta Hockey League Champions. The Crusaders swept the Camrose Vikings 3-0 in the best of 5 series finals. Ronin Pusch led all playoff scorers with 12 goals and 22 points. The Crusaders also won the Bronze Medal in the Provincial Championships. The Raiders Hockey Club would like to congratulate the players and coaches for successful season.